Lyft has been trying to gain momentum on the incessant slip-ups of its main competitor Uber, and this week it took another step to gain some ground: The company says it’s going to develop its own self-driving technology, following a string of announced partnerships to focus on bringing autonomous cars to the public. On Friday, Lyft announced that it’s opening a self-driving division called the Level 5 Engineering Center (a nod to the industry definition of a fully-autonomous car), with the intention of developing hardware and software for robot cars. Also it’s a different Level 5 from this lvl5. In a post on Medium, the company said it would focus on developing an open self-driving system. It’s the latest entrant into a crowded field of traditional automakers and tech giants who believe self-driving cars will revolutionize the transportation business in the coming years. Vincent said that 10 percent of the company’s engineering team is focused on developing self-driving cars, and that group is expected to grow in the coming months. 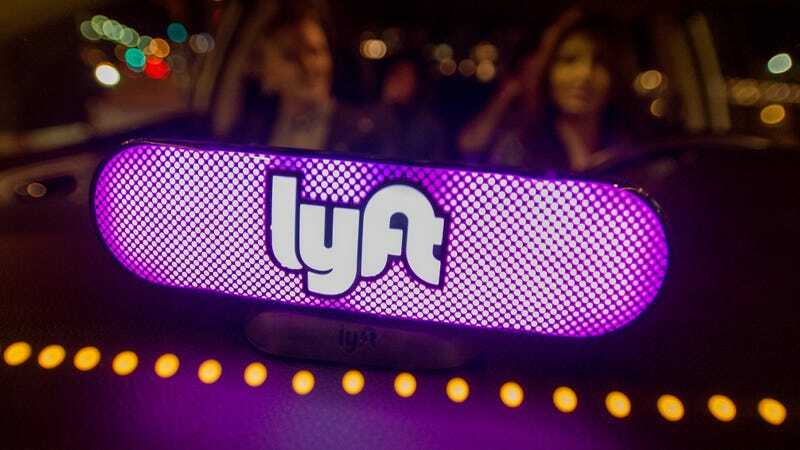 While Lyft may be a late entry in the self-driving car race, it’s amassed a series of partnerships that position itself to capitalize on efforts to bring autonomous cars to a ride-hailing platform by early next decade. In May, Lyft announced a partnerships with Google’s self-driving car program, Waymo, though details on the deal have been sparse. Weeks later, it revealed a partnership with nuTonomy, a tech start-up that’ll work with Lyft to launch an autonomous pilot program in Boston later this year. It also has a significant partnership with General Motors, which previously invested $500 million in the company. Most importantly, the move announced on Friday signals that Lyft’s interested in competing directly with Uber, which has spent millions on developing self-driving cars and already launched pilot programs in cities across the U.S. Uber has been ensnared in litigation with Waymo, which accused the ride-hailing giant of using stolen trade secrets to accelerate the development of its own self-driving car program. The case is expected to head to trial in October. The biggest difference, it seems, is Lyft plans to develop self-driving tech from a collaborative approach. Uber and Waymo have flown solo, for the most part, beyond partnering with car companies to install their technology for testing purposes. It’s a weird scenario, though. Lyft’s self-driving vehicles will essentially be competing with vehicles introduced by partners like Waymo. Maybe Lyft is trying to diversify itself to become more attractive to a potential suitor down the line; it’s valued significantly less than Uber, by about 10-fold. Maybe it felt like it had no choice; when everyone else is taking a stab at trying to grab a piece of the autonomous car pie, it’s perhaps hard to avoid. Lyft nonetheless sees the arrangement as workable. It’s a cutthroat, costly battle—but, if anything, Lyft’s move is another sign that the industry’s trying to move as quick as possible to cut out drivers and bring a robotaxi sector to life.